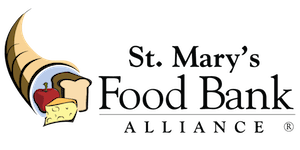 St. Mary's Food Bank is seeking a self-directed, high energy Child Nutrition Summer Intern who is excited about making sure children receive the nutrition they need all summer long while school is out of session. This person will be responsible for the administrative functions related to the USDA Summer Food Service Program (SFSP) including - volunteer recruiting, management and tracking, program marketing/outreach, meal distribution, meal counting collection and management, data entry, and site monitoring. The ability to follow compliance regulations as prescribed by the USDA and the Arizona Department of Education is required. Consult with management on non-compliant agencies and create a corrective action plan for immediate implementation; conduct timely site visit re-checks. Establish and maintain personal and regular communication with partner agencies in the school community, government and non-profit sector. Communicate any program changes to partner agencies and ensure required changes are implemented and met. Balance compliance need with our customer service oriented values. Work closely with Community Engagement Manager and Child Nutrition Specialist and attend meetings as needed. The position requires some college or a combination of a high school diploma and experience. Preferably the intern will currently be an undergraduate or graduate student studying in the social services or closely related field. The employee should have a demonstrated history of establishing relationships, strong leadership and a passion for food security and children. Must possess valid Arizona Issued Driver’s License and access to a vehicle. Someone who is familiar with the Flagstaff community is preferable. Rate of pay is $12/hr.